Q: My son and his wife are three months into a one-year lease of a condo. Recently, the owners announced that they are selling the unit, and the agent has scheduled open houses two Sundays a month. The agent also advised them that he would show the unit on 24 hours’ notice. A: There’s no doubt that having to put up with showings is one of the drawbacks of being a renter. Most of the time, you’re accommodating a landlord who wants to rent the place right after you leave, but sometimes, as your son knows, the interruptions are for buyers. My son and his wife have a baby, a dog and a cat, and my son works at home, which often involves participating in international calls that are set up weeks in advance. Expecting them to vacate two Sundays a month, and to be gone on one day’s notice, is not only inconvenient, it seriously interferes with my son’s ability to make a living. My son has offered to move out, but they won’t let him out of the lease. 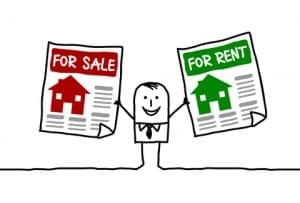 –Maria K.
If the market is soft, for either renting or buying, more showings may be required to finally find a tenant or buyer. Most states have laws that govern when, for what reasons, and with how much notice a landlord may disturb tenants in showing the property. Many states require landlords to give only one day’s notice before showing a rental. But most laws specify that, even if the landlord follows the rules for each entry, the entries must not be excessive when considered together. For instance, in Washington, “A landlord shall not unreasonably interfere with a tenant’s enjoyment of the rented dwelling unit by excessively exhibiting the dwelling unit” (Wash. Rev. Code Ann. Sec. 59.18.150). Some statutes instead say that tenants may not “unreasonably withhold” consent to enter, which implies that it might be reasonable to withhold such consent in some circumstances. Unfortunately, while it’s easy to identify the extreme cases as excessive (an open house every afternoon, for example), there’s no simple, numeric test that will tell you how many showings constitute excessive interference. Instead, a judge would look at all the circumstances — the landlord’s needs and those of the tenants — and decide whether the landlord’s plans are reasonable. A judge might want to know, for example, what the open-house practice is in your area. Are two showings a month par for the course? If so, you might have to live with this. But showing the unit to individual buyers more than once or twice during the week might still be excessive. Your son’s circumstances will be relevant, too. The presence of a baby, let alone pets, makes the intrusion significant. His work-at-home lifestyle is also a factor: It’s becoming more and more common to telecommute or work from home, and landlords need to recognize that their tenants are legitimately using the property as someplace more than just a perch to come home to at the end of the day. What might be insignificant to a single tenant with no pets, who spends all day at work and the weekends out and about, could well be excessive to your son and his family. Many states give tenants remedies when their landlords make it impossible to peacefully enjoy their homes. They may sue for damages, or just break the lease and move out. Their justification is that the landlord’s intrusions have been so numerous that the tenants no longer have “quiet enjoyment” of their homes. Your son’s entitlement to quiet enjoyment is an age-old right that, when violated by the landlord, gives him the right to leave without responsibility for future rent. If your son’s family decides to leave, make sure your son begins building his case now by setting out the facts in a letter to the agent and owner, explaining his dissatisfaction with the effect their intended showings will have on his family and his work. He should repeat the offer to leave early and ask that the owner modify the showing plan. Your son’s family should be prepared to work with them if they appear willing. The owner would be well advised to negotiate with him. If your son is forced to leave, the owner will have a rentless unit that, because it’s on the market, will be very difficult to rent (most renters would be leery of taking a place that’s going to be constantly shown to potential buyers). If your son gets nowhere and decides to leave, keep in mind that the owner will surely keep his deposit to cover unpaid future rent. If your son wants it back, he’ll have to go to small claims court, where his paper trail will help him prove that he tried to work things out.